Cold is the most common reason for missing work and school. And Vitamin C is often recommended as a natural remedy for it. is also a major cause of acute morbidity and doctor visit. On an average, adults suffer from 2-3 cold attacks per year. The frequency in kids is even higher. Recurrent cold and cough can occur because of various reasons such as viral/bacterial infections, respiratory conditions like asthma, or a weak immune system. Nonetheless, a permanent solution for cold is yet to be discovered. 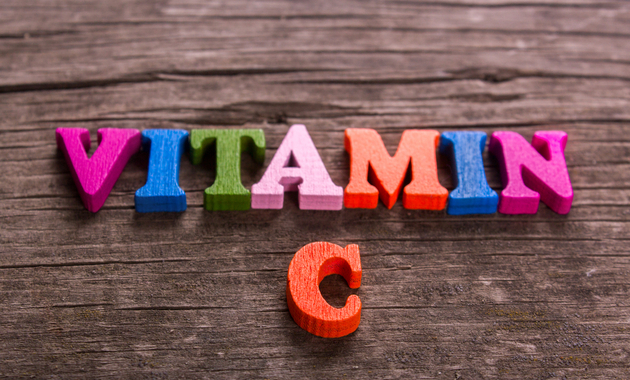 Efficacy of Vitamin C in treating cold and cough has always been debatable. Let’s get to know more about VitaminC. 1. Helps in the development and maintenance of connective tissue. 2. Aids in bone formation, maintaining healthy gums, and wound healing. 3. Involved in various metabolic activities like converting cholesterol to bile acids. The Recommended Dietary Allowance of Vitamin C is 75 mg/day in females and 90 mg/day in males. Our immune system comprises of various organs and processes, which protects us against diseases. Certain cells of the immune system can accumulate vitamin C, which is essential for the smooth functioning of this defense system. Vitamin C has shown to lessen the severity of allergic reactions and improve the immune response. Being an antioxidant, it protects the body against the deleterious effect of free radicals. Frequency of cold attacks: For those under physical stress like marathon runners, army soldiers in subarctic conditions, and skiers taking 200 mg of vitamin C every day reduced the cold frequency to half. However, in the general population, it did not alter the risk of getting a cold. Duration of a cold episode: Taking the same dose every day reduced the duration of the cold in 8% adults and 13% children. Though vitamin C does not reduce the frequency of cold attacks, unless you are really under stress, it is seen to reduce the severity and duration of a cold episode. Furthermore, not much is known about the therapeutic effect of vitamin C, meaning its administration after the onset of symptoms. Thus, vitamin C should be consumed daily and not only after the start of an episode of cold. Nevertheless, considering its low cost, safety, and beneficial effects of reduced risk of cancer and cardiovascular disease, it is worthwhile for individuals with a recurrent cold to take their daily dose vitamin C.
Now buy Patanjali products at 1mg. How To Get Rid Of Cough Naturally? Gout: What To Eat And What To Avoid?